Amigrow is a basic organic bio-stimulant, anti-stress which shows satisfactory results when used at recommended doses during the proper periods. 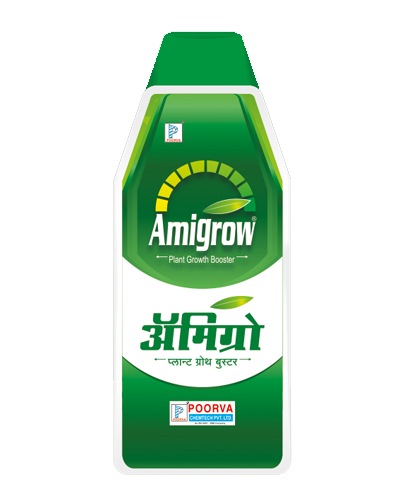 Amigrow induces vigorous, healthy and stout plant growth. Amigrow increases fruit size & weight to a great extent. Amigrow facilitates penetration of nutrients into plants. Amigrow has a positive effect on the growth & development of crops due to an increased extraction of macro & micro nutrients & on a biochemical level, it increase permeability of membranes.